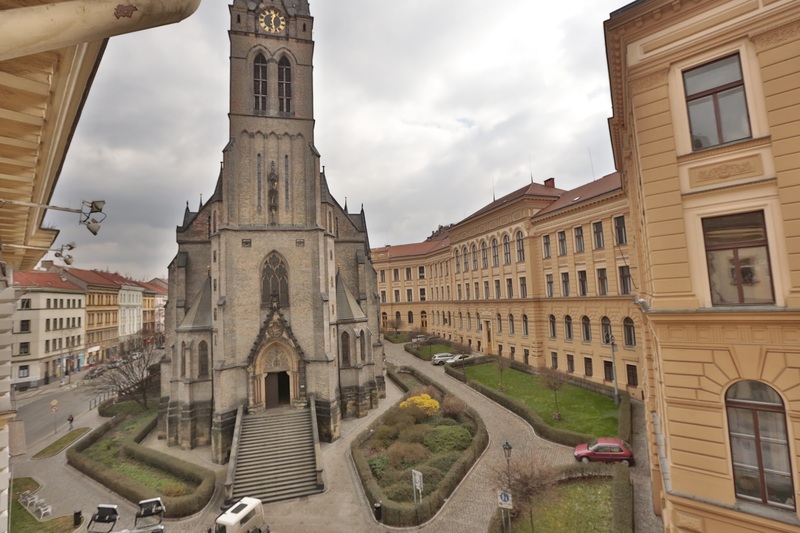 Traditional Czech beer and cuisine, bars and restaurants, the cathedral straight at the corner and all of this in a couple of minutes from the apartment! 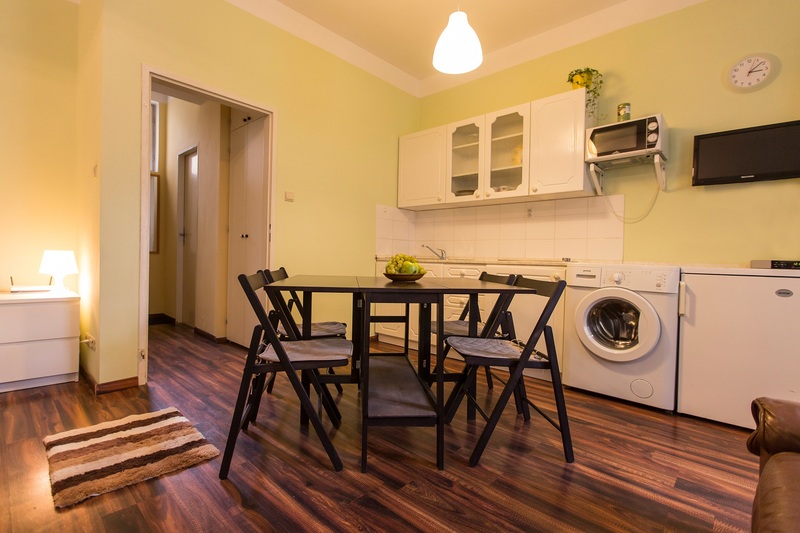 Apartment is located in a historical part of Prague – Zizkov very close to the main train station, shops, and a lot of restaurants. It’s ideal for a small company of friends or a family. Apartment can accommodate 1-4 people. XIX century neo-gothic cathedral straight at the corner of the building and you can see it from your windows. 700 m from the apartment in hotel “Olšanka” you can use the services of a sports center “Olšanka”, which has a 25 meter swimming pool, sauna, spa, etc. Also in hotel “Olšanka” from 7:00-10:00 all of our guests can have breakfast (with hot meals and fruits), and price for our guest is 4€. Good connection with a city center (6 minutes by tram or 20 minute walk). For beer lovers nearby is a nice Czech pubs where you can taste local food and of course beer. Very close is pizzeria “Einstein” (for students second pizza is free). Just a 12-minute walk from the main train station. 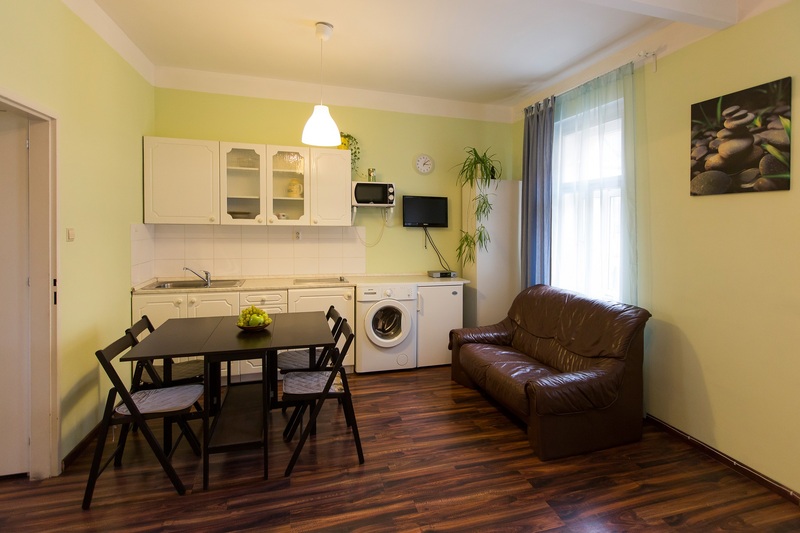 In front of the house is public parking place where you can park your car just only for 40 CZK/hour (from 08:00-18:00) and weekends and night is free. It is possible to park your car next to the house on paid parking and cost is 12€/day.